Whoa - these sumac trees ðŸŒ± pack a massive punch!! This fruit is high in antioxidants; in short, antioxidants stop the oxidation and deterioration of our cells. Therefore, these powerful antioxidants help neutralize free radicals that are known for leading to cancer, heart disease, stroke, early aging & diabetes. 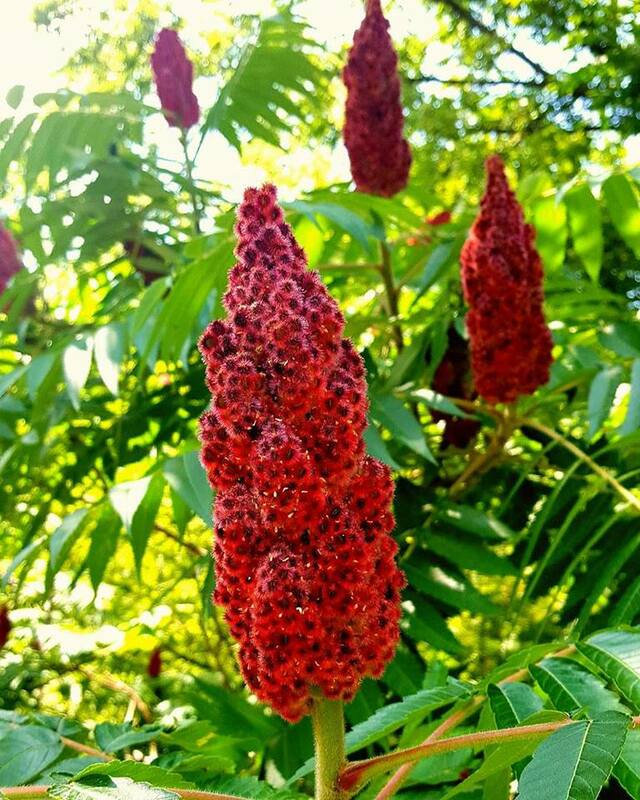 Rhus typhina, better known as Sumac, is known as a beautiful anti-inflammatory, antifungal & antimicrobial. It is also high in vitamin C, phytochemicals, protein, fiber, as well minerals including calcium, potassium, magnesium, phosphorus & tannin. Sumac has been used in the past to reduce arthritis, skin irritations, rashes & inflammation. Not only that, these berries are known for decreasing hyperglycemia (high blood sugar), obesity, cholesterol, respiratory problems, colds, and even the flu. Research has also shown that sumac can decrease and eliminate the bacteria salmonella. *Useful Hint* put sumac in filtered water overnight. This anti-bacterial mixture can be used to wash your fresh veggies & fruit! Of course, it would only be appropriate for me to incorporate some sort of tea application with sumac; the best time to harvest sumac in this application is when the top "cone" turns a beautiful reddish - brown to bright red in August. Try to grab these before the heavier rains start to fall; if not, the rain will wash the color and some helpful nutrients away. When picking sumac, always taste test making sure it has a tart, tangy, lemony flavor. Being so versatile, sumac fruit can be used to make an amazing iced drink (for this beautiful weather that is coming!) Here is one of my favorite summer drinks! In a pot, boil sumac seeds, water, and agave. Cool and strain this mixture (there will be rock-like seeds) into a glass pitcher, add ice, water, your homemade lemon juice and crushed berries. 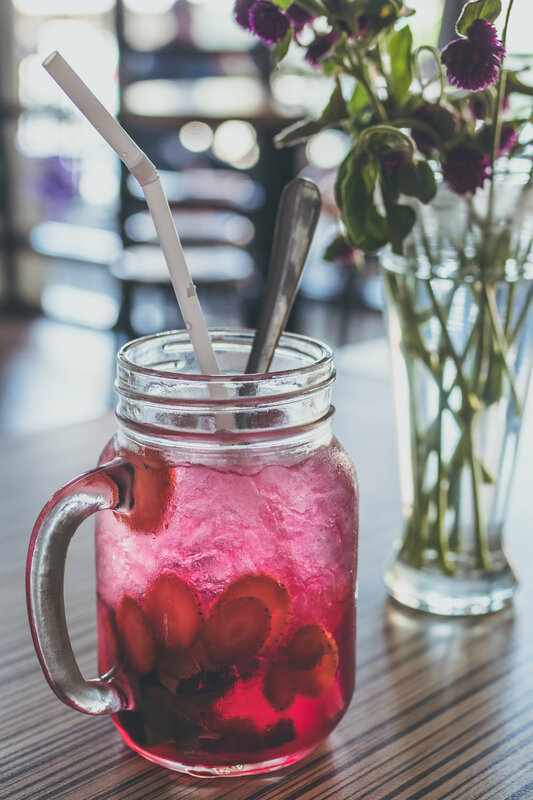 Now get out there and pick some beautiful sumac and enjoy this delicious drink!